If you are looking for the best upscale properties in Southern Utah, we can help. We have homes available that feature custom lush landscaping, designer swimming pools, spas and saunas, state-of-the-art home theaters, gourmet kitchens, casitas, and world-reknowned finishwork. You are sure to feel like royalty in these magnificent homes. Equally as breathtaking are the views from these luxury homes, many overlooking Southern Utah’s trademark red rock cliffs, beautifully landscaped golf course fairways, calming waterfront views, or even the seclusion of a large estate lot. Each day you will wake up to your own personal paradise streaming in through your windows. Our experienced team is dedicated in finding you the home you’ve only imagined. 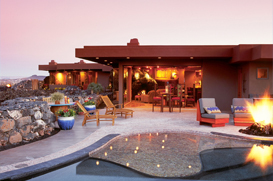 Please take a moment to utilize our free search to view luxury homes in Southern Utah. If you are interested in viewing or purchasing any homes in the area, please call and schedule an appointment today. We look forward to hearing from you.